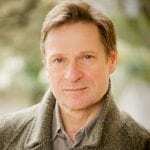 On Monday 19 June, Simon Keenlyside will be awarded the title of Österreichischer Kammersänger by the Wiener Staatsoper, recognising his extraordinary contribution to the world of opera, particularly within Austria. Simon made his Wiener Staatsoper debut back in 1999 as Marcello La bohème and has since gone on to perform the great title roles of Rigoletto, Wozzeck, Macbeth, Eugene Onegin, Billy Budd and Don Giovanni, as well as – to mention just a few – the roles of Count Almaviva, Figaro, Papageno and Posa. Future seasons in Vienna will see Simon’s Count Almaviva, Giorgio Germont, Ford, Posa and Macbeth. The title of Kammersänger is given to distinguished singers of opera and classical music, and was historically bestowed by princes or kings. Given in Germany and Austria, the title is usually presented on the recommendation of relevant national and local institutions. This weekend, Simon returns to the Wiener Staatsoper stage, making his role debut as Golaud in a new production of Pelléas et Melisande, directed by Marco Arturo Marelli and with Alain Altinoglu conducting. Performances take place on 18, 20, 24, 27 and 30 June 2017, with the performance on 30 June being streamed live at staatsoperlive.com at 7pm local time. Read more here about the Kammersänger award here, and more about performances of Pelléas et Melisande here. Congratulations to Simon on this incredible achievement!